When there is no more room in hell, the dead will walk the earth. 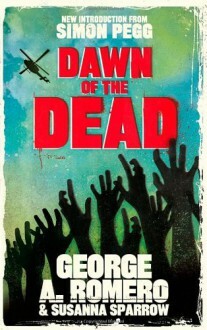 George A. Romero's iconic film and novel terrified generations. Now Dawn of the Dead is back to terrify once more. The world is being devastated by zombies. No one knows how far they have spread, or how to stop them. And as the living fight to save themselves, society collapses. Four people escape the chaos of downtown Philadelphia and find shelter in a shopping mall. As the survivors exhaust their greed and the undead scrape at the doors, the refuge becomes a prison. And soon there will be nowhere left to hide ...The classic horror that inspired a genre: if you haven't read this yet, you need to. If you have, you'll want to again. Includes a brilliant and exclusive introduction from Simon Pegg.